Unique Children of the World Tapestry on Cream with Cowl Collar Chasuble comes with a high quality self-lined and interlined under stole, finely handcrafted in the U.S.A. by Theological Threads Inc., on wrinkle resistant, light weight, breathable fabric. This beautiful chasuble decorated with Children of the World Tapestry, available in front design only with a choice of design on back for additional $ 80.00. 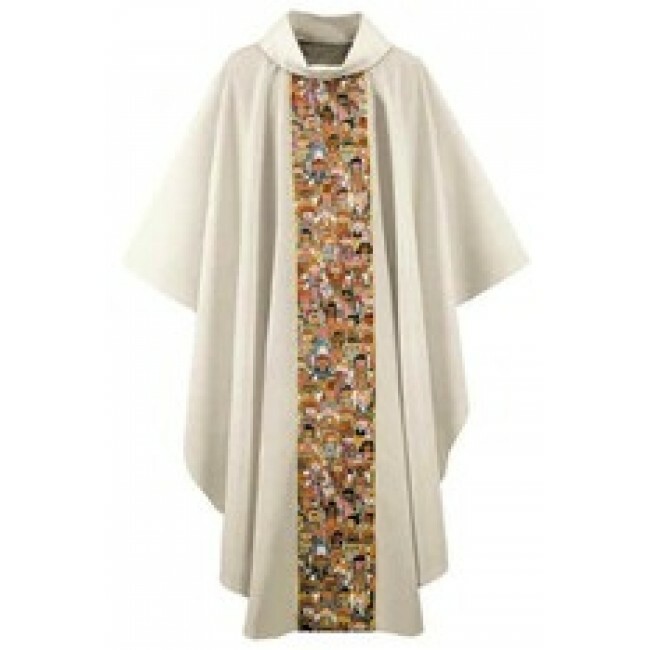 Available in 2 sizes: Standard chasubles measure 51" long x 58" wide, and Ample Gothic cut chasubles are 51" long x 64" wide.